Jerusalem Reisen aus Eilat, Trips nach Jerusalem aus Aqaba, Taba, Sharm El Sheikh, Sinai und Aegypten. Tagestouren nach Jerusalem und Touren nach Nazareth und zum See Genezareth. Antoine De Saint - Exupery - Wind, Sand und Sterne. In Israel können sie eine Unzahl von natürlichen, kulturellen und religiösen Schätzen entdecken – und all diese finden sie in einem winzigen Stückchen Land, das nur die halbe Flächengrösse der Schweitz hat! Im Winter könnten sie am gleichen Tag an den Korallenriffen des Roten Meeres tauchen und dann am Abend auf den Höhen des Hermon Berges Skilaufen (auch wenn wir das nicht empfehlen…!). Eilat liegt am “Treffpunkt” von Asien, Afrika und Europa, daher können sie hier eine Menge einzigartiger Naturattraktionen erleben, zum Beispiel können sie die “Machteshim” entdecken - beeindruckende Erosionskrater, oder aber sich him Schatten der nördlichsten “Doum” Palmen der Welt ausruhen. Hier können sie am tiefsten Punkt der Erde, dem Toten Meer, schwimmen gehen, die ersten Kupferminen der Welt erkunden und einzigartige Flora und Fauna erleben. 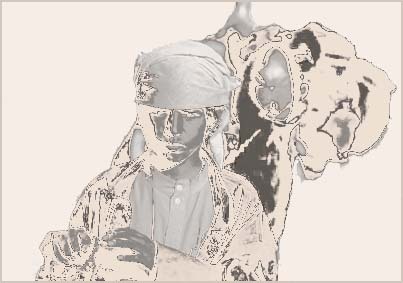 Auch der Sinai und Aqaba sind ideale Ausgangspunkte fuer kurze Abstecher nach Israel! Die Fahrt von Sharm El Sheikh nach Eilat dauert ca. 3 Stunden, von Dahab geht es in 1.5 Stunden und Taba und Aqaba liegen direkt neben der israelischen Grenze. Jerusalem ist also auch aus dem Sinai zum Greifen nahe! Und auf dem Weg koennen sie im Toten Meer schwimmen - ein einmaliges Erlebnis! Von Eilat nach Jerusalem, Maasada, Ein Gedi, zum Toten Meer und zur Judäa Wüste. 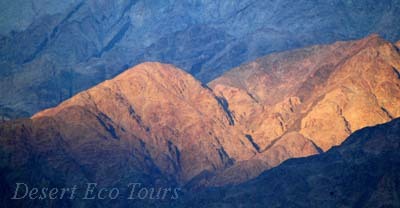 Israel Tours- Desert Eco Tours operates private and group tours all over Israel. 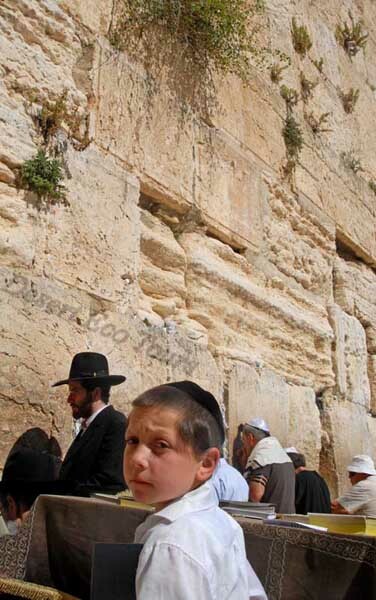 All our Israel tours explore the major historic, religious and natural highlights of Israel. 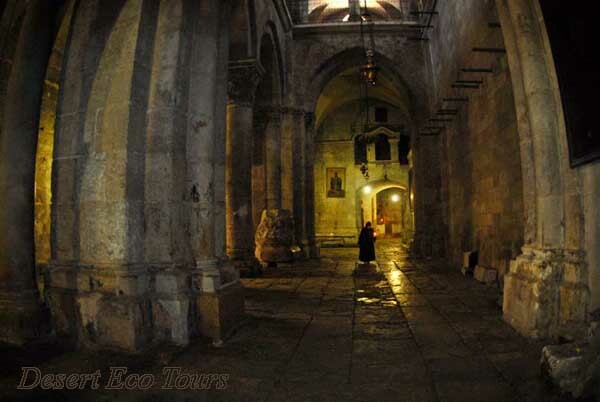 Every tour covers the lesser trodden paths along the most scenic tour routes and unveil Israel's rich cultural heritage. 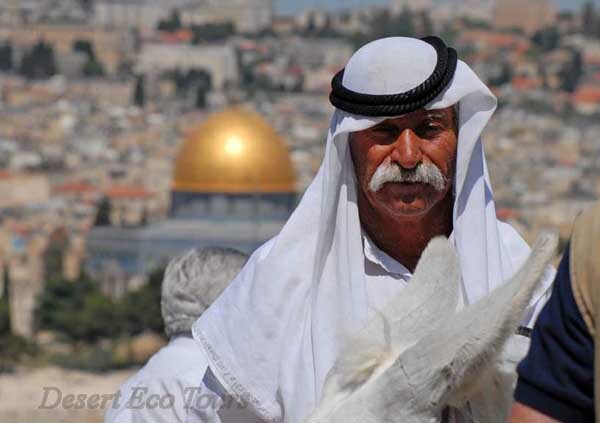 Our Israel tours aim at sharing the many facinating aspects of Israel that few tourists get to experience. 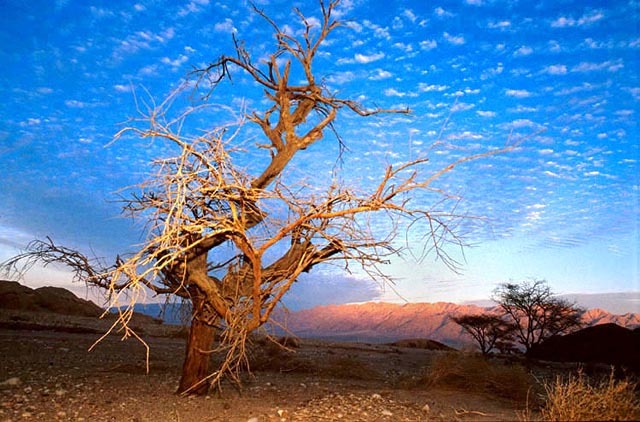 Off-the-track Israel tours, cover Israel's main sights whilst keeping the Desert Eco Tours spirit. 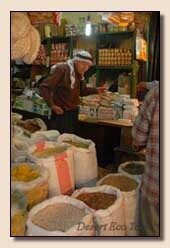 Many of our tours include short trips into Jordan (Petra) and the Pyramids in Cairo. 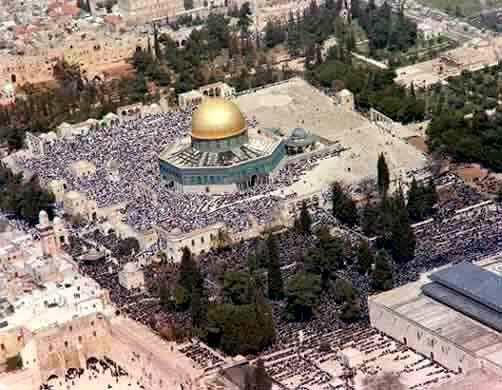 We can tailor your tour experience to include as many of Israel's main sights or hidden treasures as you have time for. * Akko - Caesarea - Rosh Hanikrah - Safed - Galilee - Golan - Dead Sea - Masada - Ramon Crator - Nahal Zin - Sde Boker - Jerusalem. 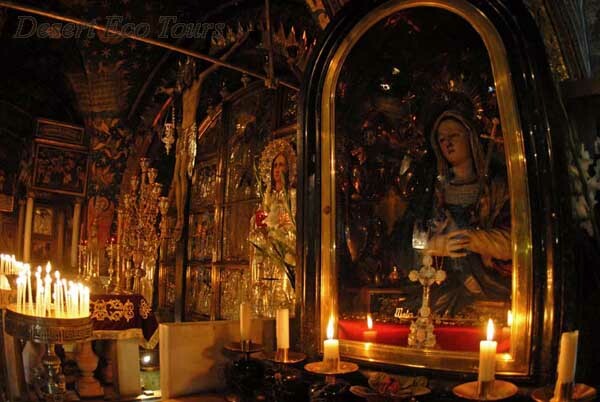 This is a tour for hikers who don't want to miss the many unique religious and historic highlights this area has to offer. This tour offers real whole day hikes, such as the famous “Sea to Sea” trek, combined with cultural sites such as the Montfort Castle, the holiest Druze shrine, Nabi Sabalan, or Safed, the center of Jewish Mysticism (Kabbalah). All the hiking and nature doesn't neccessarily mean giving up on creature comforts: We sleep in typical hotels for this area, such as Kibbutz Guestrooms, a Druze family, or Field Schools. 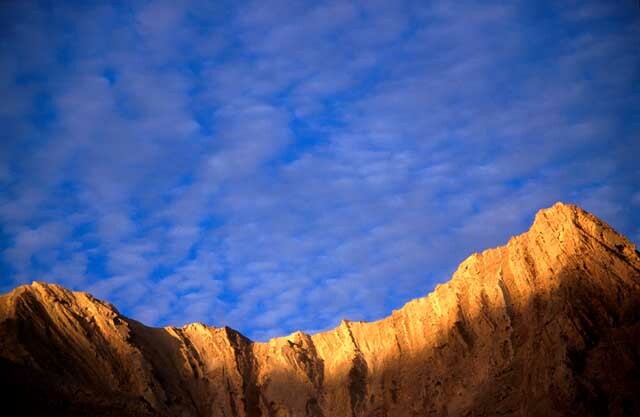 This tour can also be combined with the “Central Israel Nature & Culture Hiking Tour” in whole or in part. Day 1: We start at Rosh Hanikra, right by the Lebanese Border. Here we walk through some natural grottoes, carved by the sea in the white chalk rock. Then we hike through the tunnel and on the old tracks of the Haifa-Beirut railroad. We hike along the shore of the Mediterranean Sea, till we reach the ruins of Achziv, an ancient Phoenician city. Here we start our traditional “Sea to Sea” trek, where we will hike all the way from the Mediterranean Sea to the Sea of Galilee. Students and scouts use to fill here a bottle of salt water from the Mediterranean Sea, carry it with them on their hikes and then mix it with sweet water from the Sea of Galilee. We walk into Nachal (Wadi) Keziv and ascend through a dense forest up to the ancient Crusader fortress Montfort. We descend to the Wadi through a path built by the British police to track the smugglers from French Lebanon, and climb up to the Goren Park, where our car awaits us. 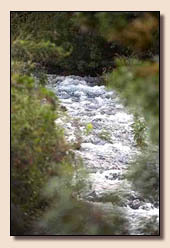 Day 2: From the Goren Park we continue through the valley of Keziv and to the “Hidden Spring” – Ein Tamir. After some more hiking through Nachal Keziv we ascend to Mezad Abirim, a little Crusader Fort, where the Carmel Deer were set free into nature. Here we end the day. Day 3: Today we hike up through a dense wood to the Druze village Hurfeish, where we visit one of the holiest places for the Druze: Nabi Sabalan. Here we meet some Druze people, and learn about their unique, secret religion, and their special way of life. Then we hike down to the fertile Hiram Valley, and up the slopes of Mt. Meron, through Nachal (Wadi) Neriya. We can spend the night in the Har Meron Field School, which is right on our trail, or with a Druze family in the village Beit Jan.
Day 4: At Khirbet Hamama, where we ended yesterdays hike, we continue walking to the summit of Mt. Meron which used to be the highest mountain in Israel until the Six-Day-War. We hike around its summit on the famous “Summit Path” from which we can enjoy excellent views of the Upper Galilee region. We end the day by hiking down the mountain to visit the Tomb of Rabbi Shimon Bar Yochai – a sacred place for Jews. Day 5: Hidden in dense forest, we hike to the ruins of the ancient synagogue at Khirbet Shema. From here we continue walking down along Nachal Meron until we reach Ein Yakim, a spring that enriches the area with a large amount of sweet water. 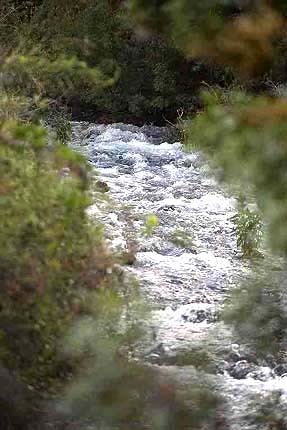 The huge quantities of water that flow here during all of the year, create a prosperous ecosystem with some rare trees and shrubs. We then ascend to the spiritual city of Zefat (Safed), the center of the Jewish Mysticism – Kabalah. We spend the rest of the afternoon strolling along the narrow lanes of Safed, visiting its synagogues, taking in its special atmosphere and listening to its tales of legends, myths, and history. Day 6: Today we end the “Sea to Sea trek”: Leaving Safed, we walk along the large cliffs of Wadi Akbara, which is also known as an important nesting-area for the vultures. 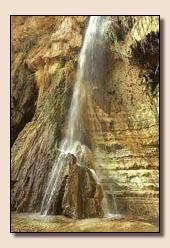 We hike from Wadi Akbara and into Nachal (Wadi) Amud, which slowly becomes a Canyon that mounds in the Sea of Galilee. Once you have successfully reached the shore of the Sea of Galilee, tradition dictates that you shouldmix your Mediterranean Water together with the water from the Sea of Galilee. You will also get a certificate certifying that you have hiked all the way from the Mediterranean Sea to the Sea of Galilee. We continue our tour taking in more of the Galilees major sites. Day 7: We start at the top of Mt. Beatitudes, where according to Christian tradition Jesus held the “Sermon on the Mount”. Walking down a road overlooking the scenery of the Sea of Galilee we reach Tabgha, where we visit the restored Church of the Bread and the Fish, dating back to the 6th century. We continue on the new promenade along the shore of the sea to Capernaum, where we visit the ruins of St. Peters House and its famous synagogue. After a drive through the Golan Heights we reach the ruins of Susita. Its perfect location overlooking the Sea and Mountains of Galilee, made this place an important city and stronghold during Roman times and a Syrian army post before the Six Day War. From Susita we walk down the steep slope of the Golan Heights and into Kibbutz Ein-Gev by the Sea of Galilee. We can swim in the lake or end the tour at a local fish restaurant. Price: 2 people 495$ per day, Up to 4 people- 590$ in total per day, 5 people or more- 130$ per person. Incl. jeep/ car and a guide. 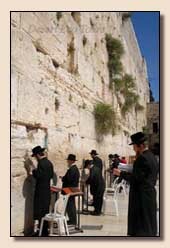 This tour of Israel covers Jerusalem , the Carmel Mountains, the Sea of Galilee, the Dead Sea and Massada. 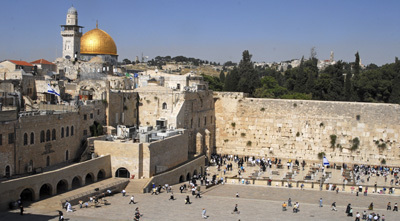 An excellent way to experience all of Israel's main attractions in just 7 days. 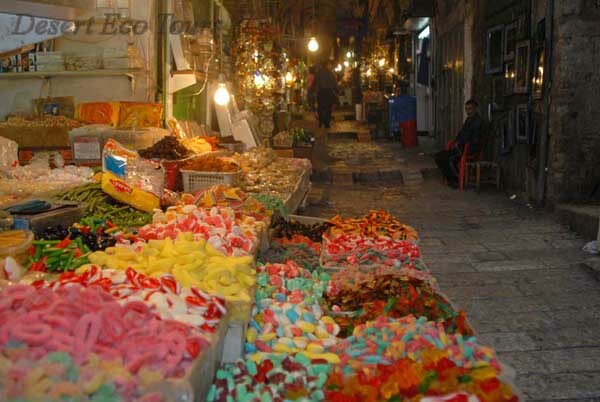 Day 1- We begin this tour in Israel's ancient Acco (Acre) with its colorful Oriental Bazaar and major historic sites. Here we have our briefing on Israel and on the week ahead. We set off to enjoy an offroad ride on the scenic route of Manot, this takes us through Upper Galilee. Here we leave our Jeep for a short hike up to the 12th century ruins of Montfort castle. 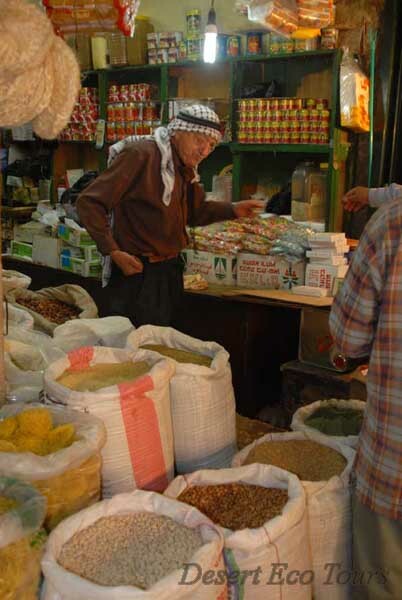 Continuing along the mountain roads we reach the Druze Village of Beit Jan. We spend the night at the home of an authentic Druze family enjoying their warm hospitality and sharing their special way of life. Day 2- We spend the morning walking in the area of Mt. Meron, a region rich in endemic flora and fauna. Moving on to Safed (Tsfat) the center of Jewish mysticism whose ancient synagogues have pasts shrouded in both history and legend. A 4x4 drive takes us through the canyon of Wadi Akbara, an important nesting-spot for vultures, on to the ancient Khirbet Shune ruins and the spring of Ein Livnim. Night spent at a local Kibbutz. Day 3- Today we explore the historic and sacred Christian sites of the Sea of Galilee. Beginning on the summit of Mt.Beatitudes (site of the Sermon on the Mount) we hike down to Tabgha and the reconstructed church of the 'Bread and Fish (famous for its 6th Century mosaic of the Bread and Fish miracle). Visiting the ruins of Capernaum - the town in which Jesus spent most of his preaching years. 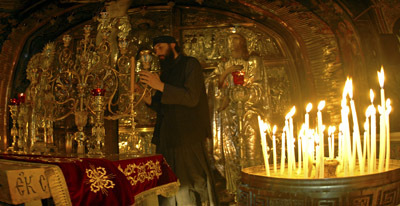 We stop also at the site of the house of St. Peter and see an ancient yet well preserved synagogue that is mentioned in the New Testament. The afternoon finds us back in the 4X4 for a drive accross the famous Golan Heights. Driving down the steep slopes and enjoying the elevated views accross the Golan Heights, the Sea of Galilee and The River Jordan. Continuing (partly through streams) along the untamed Valley of Beth Zaida, where the tributaries of the Golan Heights unite into a river before reaching the Sea of Galilee. Then to the Meshushim-Pool (meaning Octangular Pool) an interesting volcanic geological phenomena where we can enjoy a refreshing bathe and set up camp for a night in nature. Day 4- Continuing our 4x4 adventure over the Canyon of Nahal Meshushim and on to the town of Katzrin. Here we leave the road again to drive by the ancient ruins of Khirbet Sheikh Hussein. 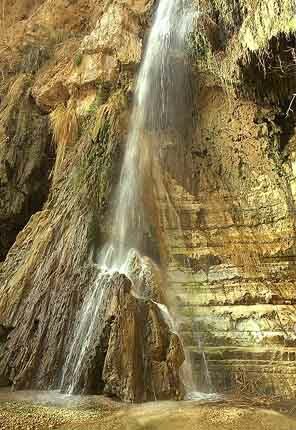 Further on a short hike takes us to the wild waterfall of Nachal Zavitan where we can bathe in the water. Onto the ruins of Umm El Kanatier (mother of arches), this fascinating archeological site was a wealthy Jewish Village during Roman times and its name comes from its two huge arches carved from local stone. Back on route the road widens as we cross the Canyon of Nachal Kanaf. We continue on a scenic 4x4 route all the way to the Eastern Shore of the Sea of Galilee. Once more we settle for the night on a local Kibbutz. 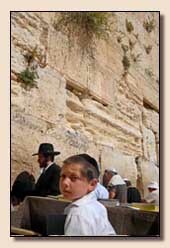 Day 5- Today we drive up to The Holy City Jerusalem by the steep slopes of Mt. Carmel and along the “Carmel Scenic Route” to The Muchraka (where according to tradition Elijah fought the Prophets of the Baal). En route we stop at the Carmelite Monastery to enjoy views that span the Mountains of Galilee and Samaria. We pass Israel's most populated areas on the Coastal Plain and ascend to Jerusalem on the historic route ‘The Burma Road'. This road was discovered by chance during Israel's War of Independence in 1948 and was used by Israelis to bypass Jordanian army positions and break the barricade on Jerusalem. Today the “Burma Road” is marked with signs, images and exhibits that remind us of this turbulent period in the history of modern Israel. Before entering Jerusalem we hike in the Masrek Nature Reserve and visit the tomb of Sheikh Achmed el ‘Adjami a pious Sheikh acclaimed by many for cutting the hair of the prophet Mohammed! Day 6- Visiting the most important sites of the Old City of Jerusalem including The Mount of Olives and its famous Cemetery and Churches, The Wailing Wall, The Temple Mount and it's great “Dome of the Rock” (if open to visitors), The Via Dolorosa (Way of the Cross), The Church of the Holy Sepulcure, which contains both the tomb of Jesus and the Hill of Calvary. We leave Jerusalem southwards bound and drive to the Amasa Reserve to go off-road again and drive through a hilly desert landscape to Brekhat Zefira a natural waterhole in the Judean Desert. The more nimble footed (and handed) can descend down to the waterhole which after rain is full of water. Journeying deeper into the desert we set up camp under the star spangled desert skies. 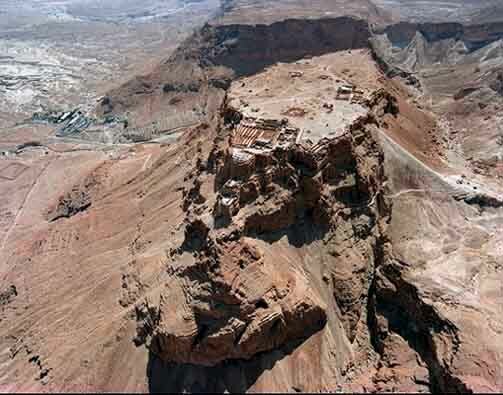 Day 7- By way of the Roman Ramp we enter the famous ruins of Massada (King Herod's Desert Fortress) and explore this fascinating site whose views span the Dead Sea and beyond before heading down to the lowest place on earth the Dead Sea. Following a brief float (swimming is impossible due to the complete buoyancy) we go 4x4 through the alien landscape of Mt. Sodom (Yeah... that Sodom...) and a final leisurely hike through the 'Flour cave'. With this our tour is complete and we enjoy a farewell briefing and tour summary. Return transportation provided. 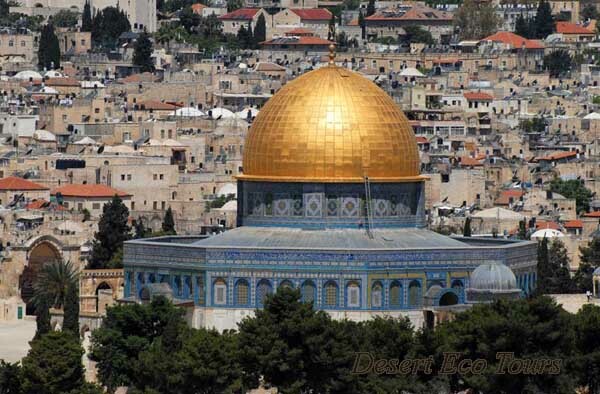 Price of 7 days Israel tour: Private tour, up to 2 people- 495$ in total -per day, 3-4 people 590$ per day, 5 people or more- 130$ per person per day. Incl. 4X4 vehicle and guide. Not incl. meals, hotels and entrance fees.